FOTM Report: Fervor Leona - Is It Good? Now that Ardent Censer is finally nerfed, all-in supports are starting to make a comeback on the rift. This means more people are picking up champions like the all-in, hyper-aggressive Leona! However, this time around we've got a new twist. While most players opt for a tanky build, recently professional support Ignar from Team Misfits decided to take her aggressiveness to a new level by running Fervor masteries...crazy right? How does it work and why? Check out the details below! Picking up Fevor early game greatly enhances Leona's all-in ability, allowing her for more effective level two engagements, and fully taking advantage of her early game snowball potential. 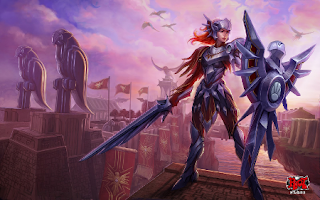 As a melee champion, Leona gets two stacks of Fervor per auto attack. By using her Auto -> Q -> Auto combo, she can instantly get six stacks of Fervor, making it difficult for any champions to trade with her from a melee range. Leona's item focus is generally straight tank. As a result, she usually results in a mere crowd-control bot late game (which isn't terrible). However, with Fervor stacks, she also becomes a form of damage threat as well. 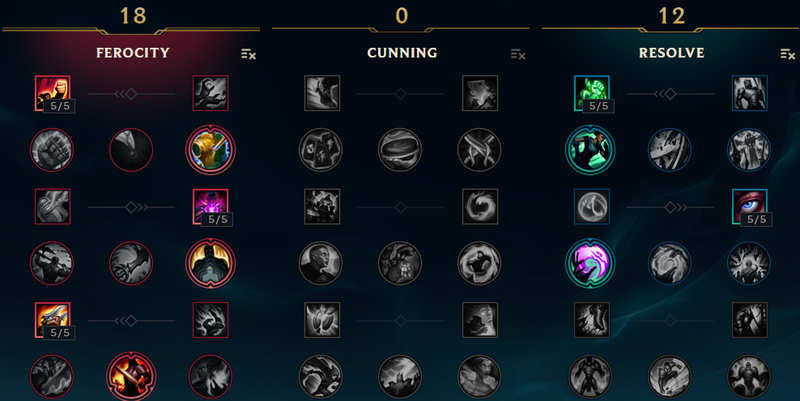 Similar to Riven, players who can't properly cancel her auto attacks will greatly reduce the value of Fervor of Battle. If you're like most lower level melee supports, auto attacks generally come in a few times during engage with very few afterwards. If this is the case, Thunderlord's Decree could be a potential swap if you just want damage. Players who choose to pick up Fervor over the defensive tree will find themselves feeling like they have to go all-in level one or two or waste the mastery. This can lead to poor decision making in terms of engaging, and can just as easily snowball your bot lane to a loss if minions are poorly managed. Fervor Leona is certainly decent in the right hands against the right enemy team, but I don't think it's necessarily a MUST on Leona, nor is it terribly overpowered. If you do see a Leona rocking fervor, I don't think you should treat her any different from other Leonas. Kite hard and try not to get hit by her E.
If you're curious about the origin of this tactic, check out the video below for some crazy damage output early game from Leona autos in the Misfit VS SKT game! What do you think about Fervor Leona? Comment below!